Langner Eye Care is your premier optometric office providing all of your eye care needs for a lifetime of healthy sight. Vision care is much more than contacts and eye glasses. At Langner Eye Care, our goal is to protect your vision for a lifetime of health sight. 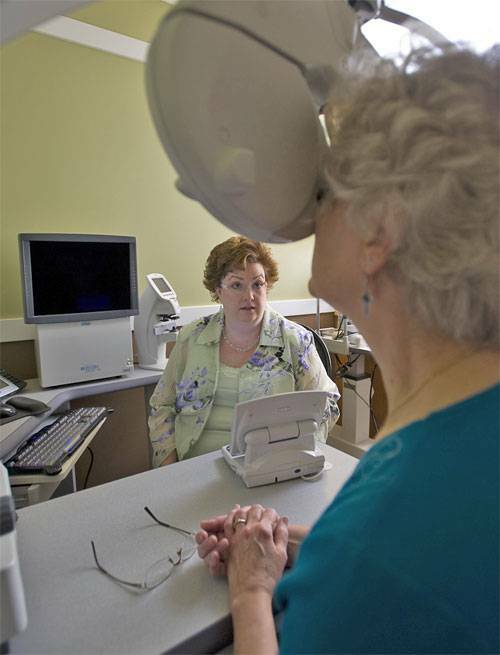 This means comprehensive eye exams, performed entirely by the doctor, utilizing the latest technology. Dr. Langner's experience, combined with enhanced diagnostic equipment, means disease can be detected years before vision loss occurs. Treatment of many types of eye disease can be started immediately by Dr. Langner, without the need to see another specialist. If corrective eyewear is needed, Dr. Langner's expertise in fitting glasses and contacts and our professional, trained staff will ensure that you receive glasses and/or contacts that fits the needs of you, the patient. We offer a wide range of eyewear designed to fit most budgets. We will make sure that you look and see your best. We offer the latest in eyeglass lens designs and newest technology in contact lenses to help your eyewear work for you. Dr. Langner and her staff want to ensure that your vision concerns are understood with a courteous, professional attitude. We want our patients to leave the office happy, secure in the knowledge that they have received the best in the exam room and in the dispensary. This is "Vision care that's focused on you!"